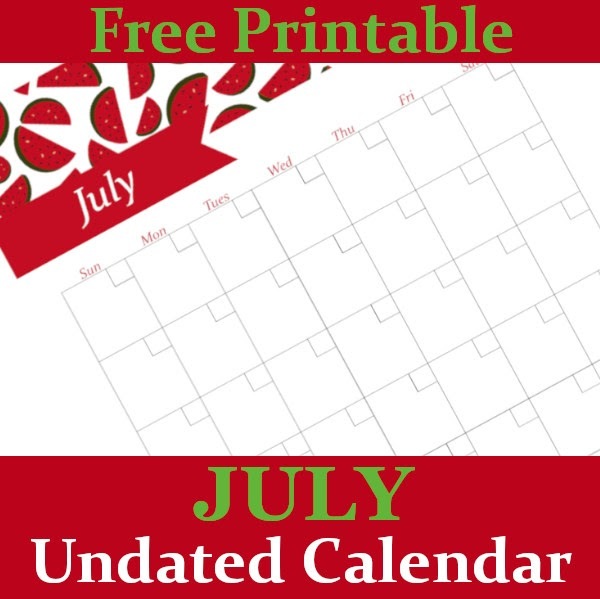 Here is July's undated calendar! 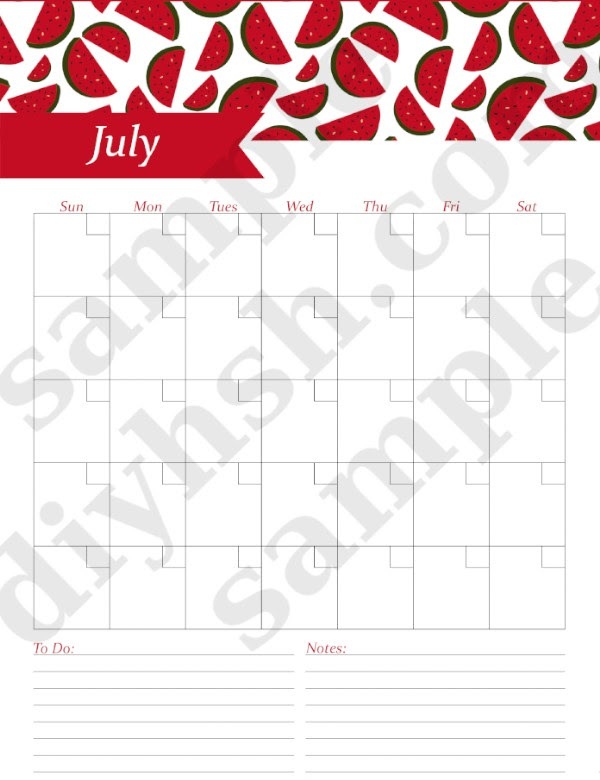 Like I said before, I know that it is too late to use this year but you can still print it our along with the past month's calendars to use next year. Keep an eye out for the August calendar coming very soon.